Laser engraved or cut city maps are easy to create and will quickly become a great new addition to your popular laser engraved and cut products. Create your own local city maps and laser engrave them on cutting boards, marble tiles, and small tables, or create laser cut versions using paper, wood, and acrylic or hang them as wall art - the possibilities and combinations of materials are endless! We won’t be using the Markers section for this map, but we’ll go over a good use for them that you might find useful. 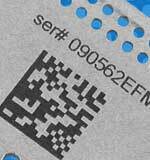 Click on the Markers section and give you a brief tour and ideas for how to use it. 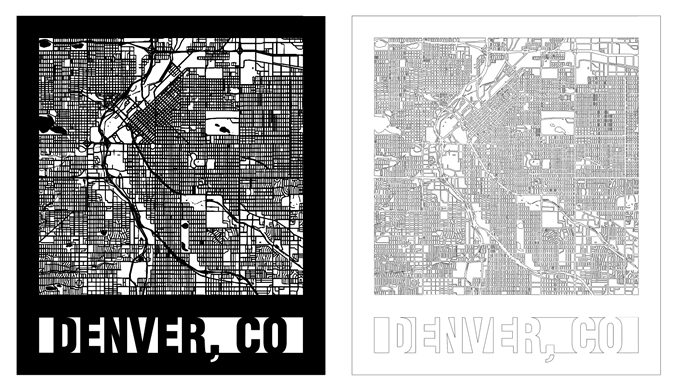 To finalize the map for laser engraving or cutting with your Epilog Laser system, we’ll use Adobe Illustrator to create a quick vector trace of our screen capture image, add a frame, and city name text to the frame. 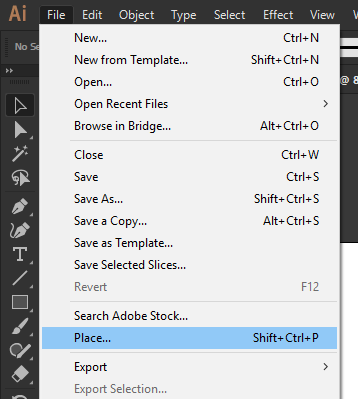 With Adobe Illustrator open and a new page created, start by selecting the Place option from the File menu at the top of the page (Ctrl + Shift + P). Using the file browser window, navigate to where you saved the map Snip, click the .PNG file, and then the Place button. 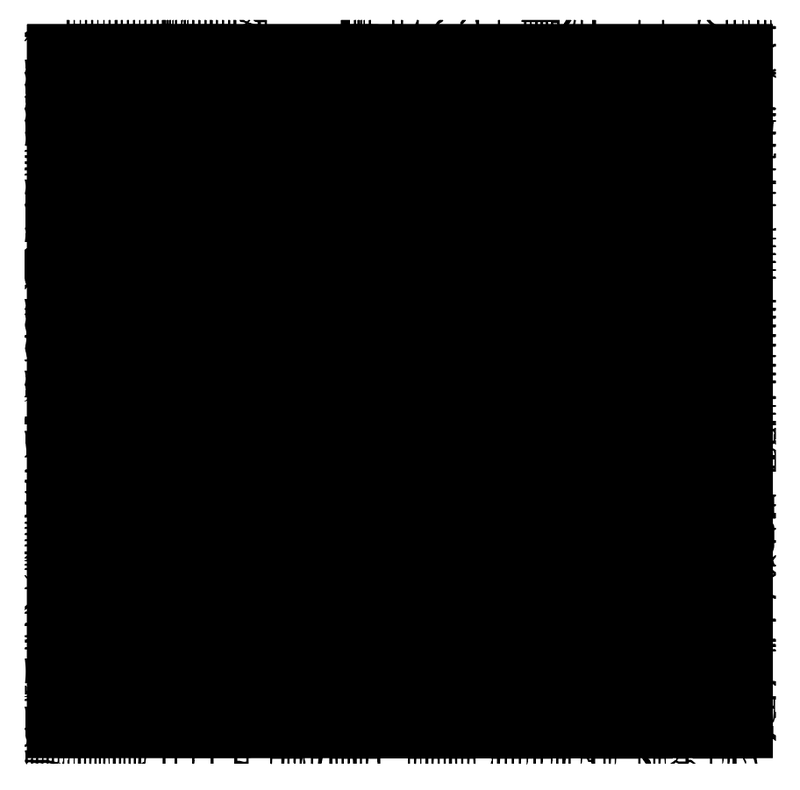 Click anywhere on the page to Place the artwork. With the artwork still selected, open the Image Trace panel by clicking Window from the menu at the top of the page, then click on Image Trace. Then click on the Expand button, near the top of the screen in the Control Bar, to finalize the live preview of the Image Trace. 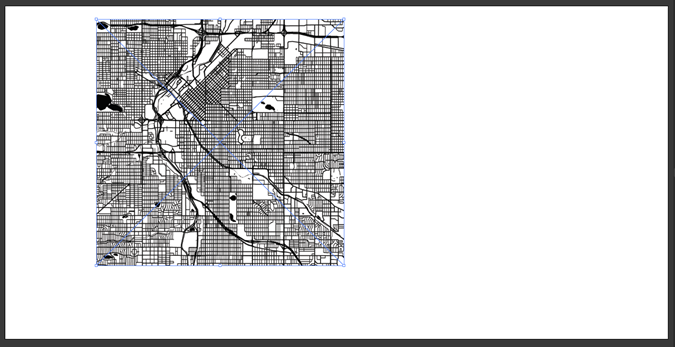 Now we’ll create the frame that goes around the map using the Rectangle tool. 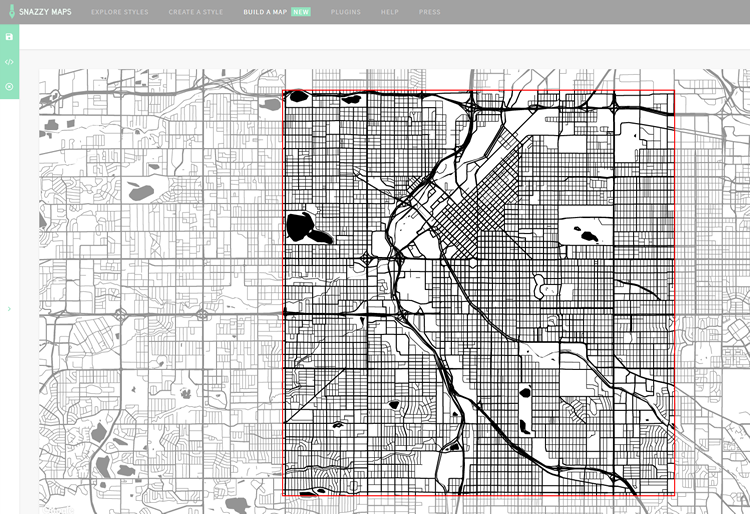 Select the Rectangle Tool (M) and draw a rectangle overlapping the city map. Make sure the rectangle is just inside the outer bounds of the map. 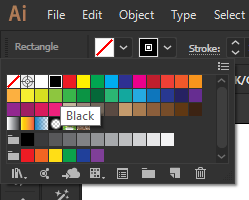 With the Rectangles still selected, change the Rectangle Fill color to none, and Stroke to black using the Control bar options at the top of the screen. 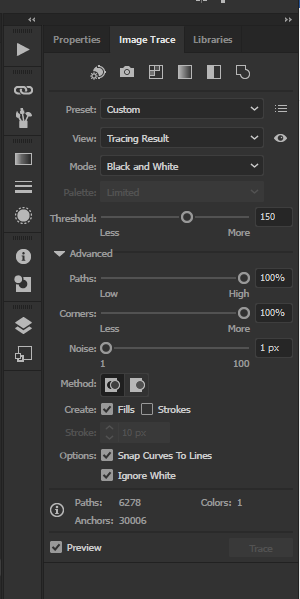 Open the Stroke panel (Ctrl + F10) by selecting Window / Stroke from the menu at the top of the screen, then change the line Weight to 0.75 in (or 54 pt), and select Align Stroke to Outside, next to Align Stroke. Now we’ll create a frame for the city text. 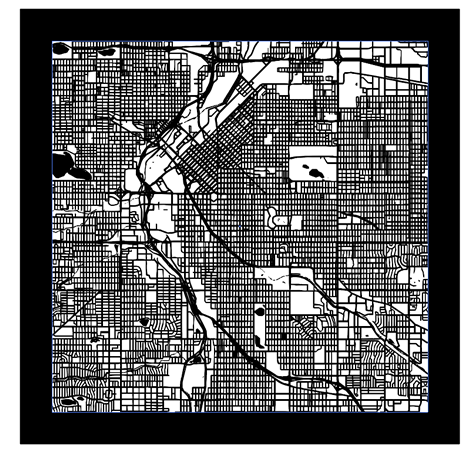 Select the Rectangle tool and draw a rectangle starting from the inside lower corner of the frame created around the city map. Then move the top of the text frame rectangle to overlap with the bottom of the map frame. 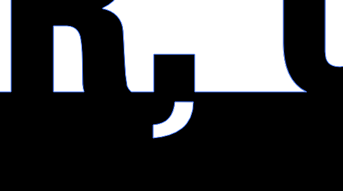 This rectangle will become the frame for the city text. Note: It may help to turn on Smart Guides with Snap to Point set to on for this step to make aligning the rectangles easier. Next we’ll create the city text. Using a typeface with a bold condensed font will work well for this design, so we'll be using Helvetica Condensed Black for this example. 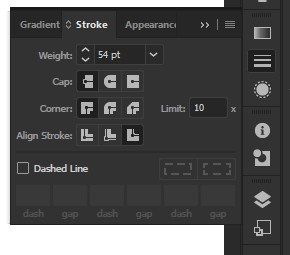 Start by selecting the text tool, click in the Font Name search box in the Control bar at the top of the screen, and type “Helvetica Condensed Black”, then press Enter. If you do not have Helvetica, Arial or Myriad Pro make good alternatives. 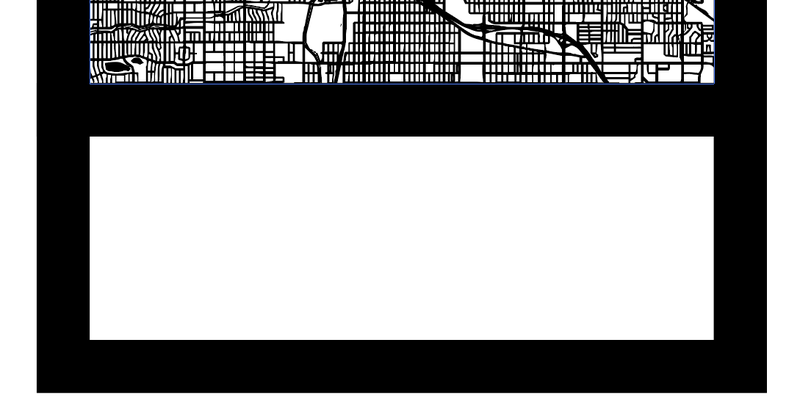 With the Type tool still selected, click inside the text frame you created in an earlier step, then type the city name in all caps, and adjust the size so there is approximately .5” to 1” of space between the text and the frame on either side of the text. Then position the text so the top of the text is slightly overlapping the bottom of the map frame. Now create a copy of the city text and drag it to the side. We’ll use the copy of the city text to add the comma descender back to the artwork once we Unite the text with the frame in a later step. 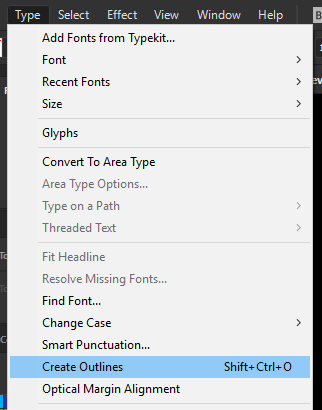 With the text still selected, convert the text to outlines by selecting Type / Create Outlines (Ctrl + Shift + O) from the menu at the top of the screen. Use the Direct Selection Tool to select the text frame and drag the bottom of the frame up to overlap the bottom of the text objects. Next, we’re going to outline the frame stroke by selecting both the map frame and text frame lines with the Selection Tool. 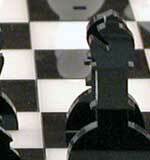 With the Selection Tool selected, hold Shift key, then click on both of the frames. 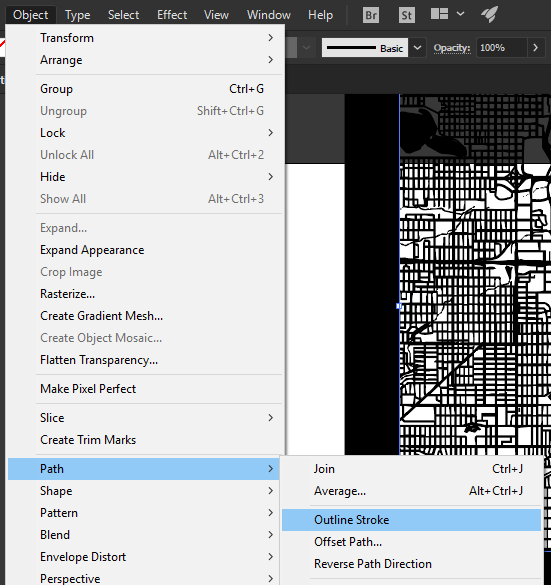 Now select Object / Path / Outline Stroke from the menu at the top of the screen to convert the strokes to outlined objects. With all the objects for the city map completed, all that is left is to Unite the objects together. 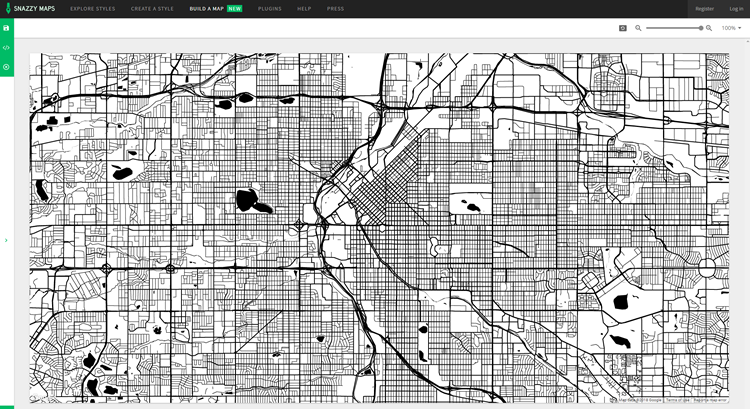 Start by using the Selection Tool to select all the city map objects, then open the Pathfinder Panel by going to Window / Pathfinder (Ctrl + Shift + F9). In the Pathfinder Panel, under Shape Modes click the Unite option to combine all of the vector objects together. 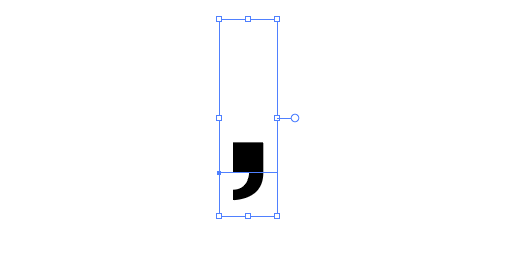 As a final detail, we’re going to add back the comma descender, by using the Exclude feature. Start by deleting all characters but the comma from the city text copy you created in the earlier step. 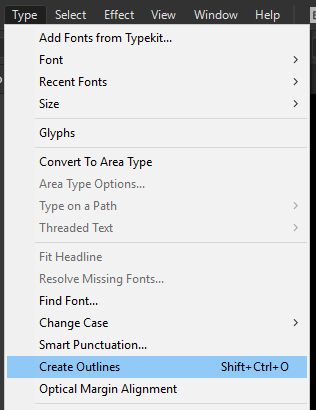 Next select the comma and convert the comma to outlines by selecting Type / Create Outlines (Ctrl + Shift + O) from the menu at the top of the screen. 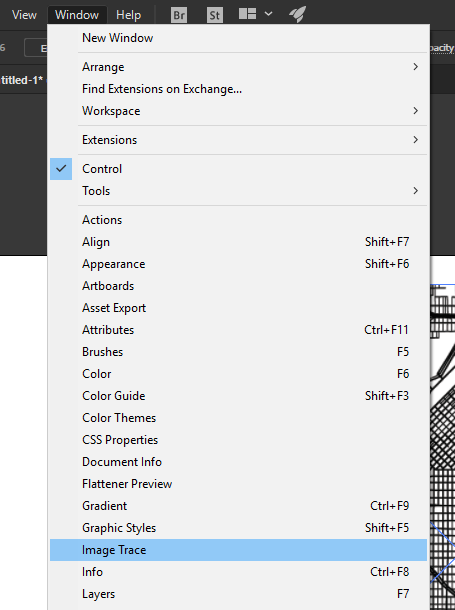 Click and hold on the Pen Tool in the Tools panel to reveal the hidden tools options, then select the Delete Anchor Point Tool option. 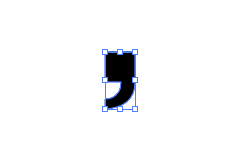 Now click on the top 3 nodes of the comma to delete the top section of the comma, and leave only the comma descender. 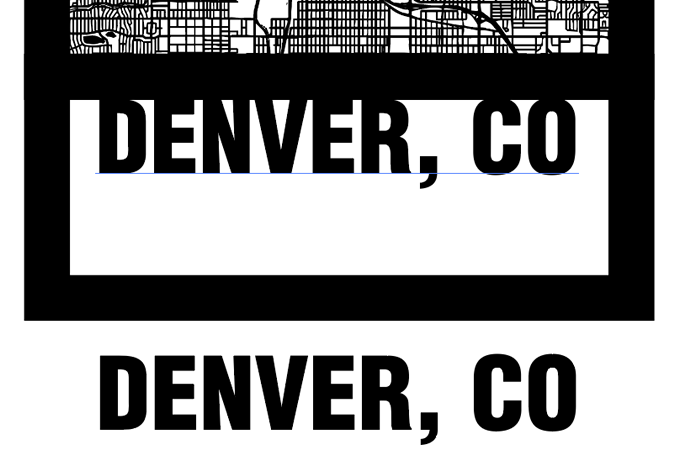 With the Selection Tool, move the comma descender just under the comma attached to the city map frame. 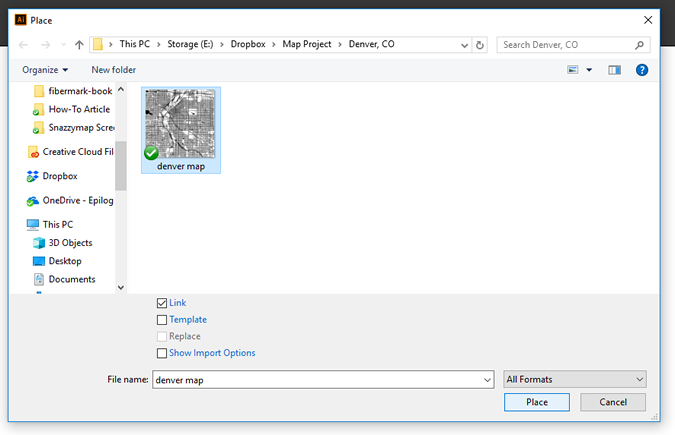 Select both the city map artwork and the comma descender, with the Selection Tool, and in the Pathfinder panel, under Shape Modes click the Exclude option to knock out the object from the frame. 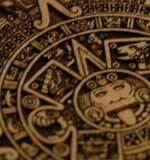 At this point if you’d like to engrave the artwork, you’re finished. If you’d like to cut out a version of the map, change the Fill color to None, change the Stroke Color to Black, then set the Stroke Weight to .001” for cutting with your Epilog Laser system.